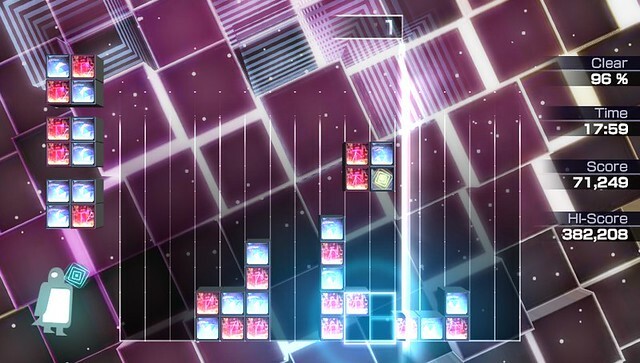 Lumines Electronic Symphony is the latest music puzzle game from Q Entertainment’s successful Lumines series. 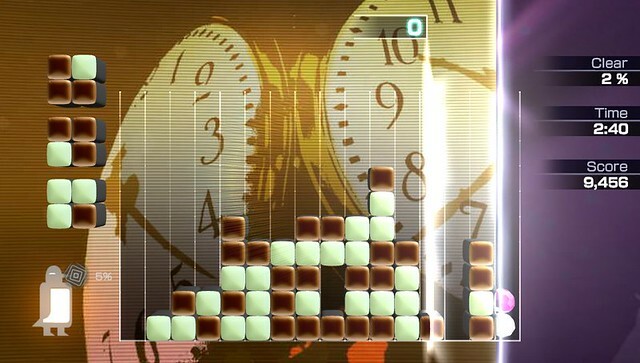 The original game “Lumines – Puzzle Fusion” (pronounced as luminous) was released for Playstation Portable (PSP) in 2004 as a launch title. 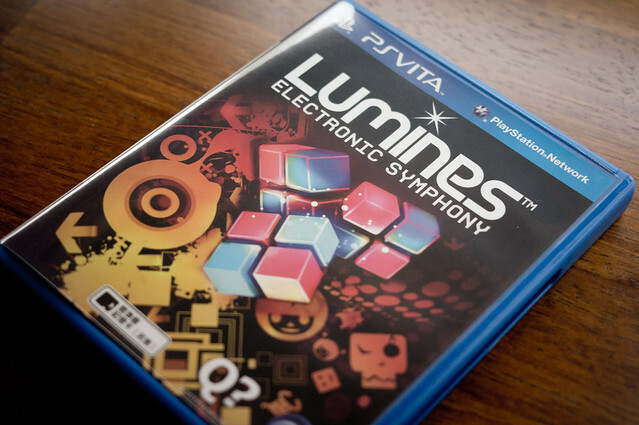 8 years later, Lumines re-emerged on the Playstation Vita, also as a launch title. The gameplay of Lumines is simple to learn but very hard to master. Players control falling blocks like a typical Tetris game, but will need to match same-coloured blocks – to connect them in a 2×2 fashion. Overlaps and stacked 2×2 patterns are allowed. Matched blocks will be erased when a glowing Time Line scans pass it. Sounds simple, doesn’t it? 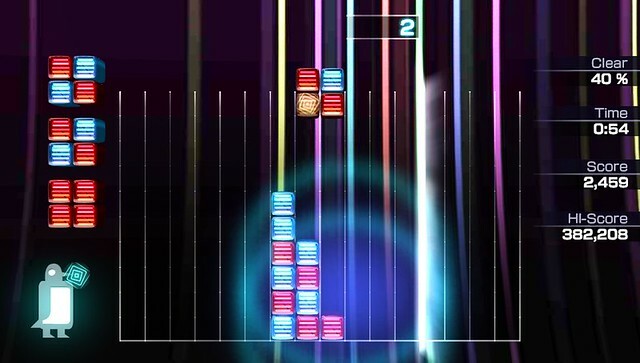 Then we come to the core of Lumines – music. 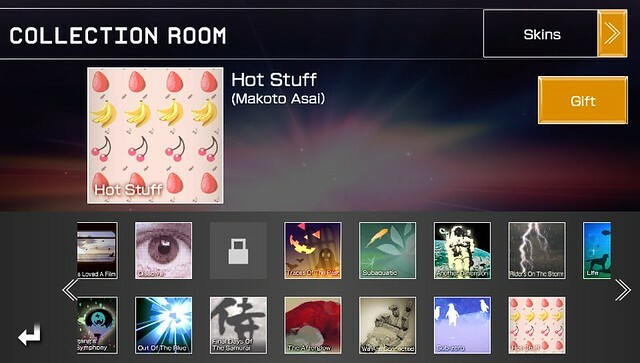 Every level in Lumines is called Skin, with its own soundtrack and visual theme. The Skin controls the falling speed of blocks and the pacing of the Time Line, as well as highly attractive (and often distracting) background visuals. The game’s music is highly incidental, with every action and combo sound effect weaved seamlessly into the soundtrack, like an interactive electronic symphony. 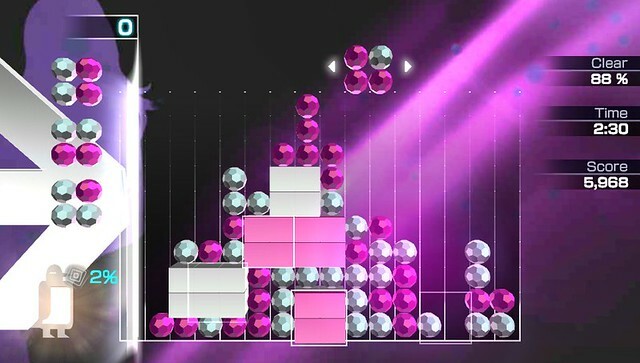 Throw in two different types of special blocks: Chain Block (also known as the “Jeweled block” in earlier games) and Shuffle Block, and you will have a mesmerizing and frantic experience of juggling blocks in Lumines. 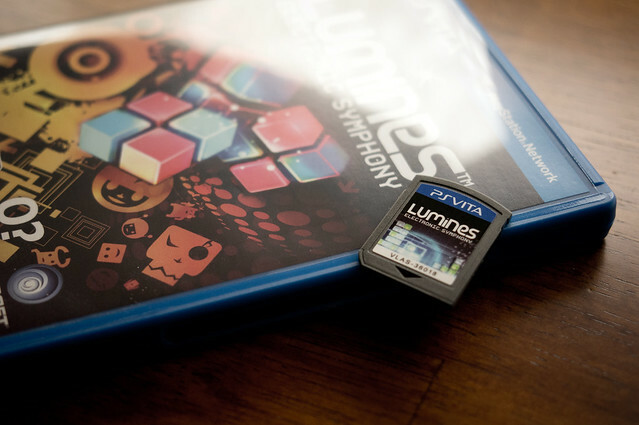 Unlike previous titles, Lumines Electronic Symphony renders puzzle blocks and backgrounds in 3D. 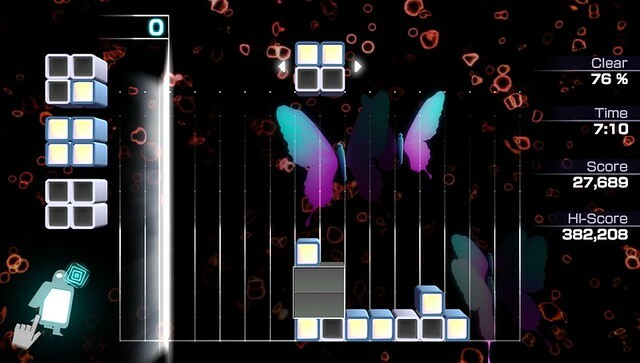 The fascinating visuals both tempt and dazzle players, and the blocks dance and pop to the soundtrack. There is a lot to take in, especially when players clear a stage and the screen changes (sometimes abruptly) into another Skin. As for the game using PS Vita’s hardware features: The touch screen implementation is used for the user interface and to activate Avatar ability. Players can also use it to control falling blocks (I find it very difficult and slow). The rear touch pad is strangely used to charge Avatar ability – by simply tapping rapidly. Other than that, I guess it mainly uses PS Vita’s hardware power to push out very impressive visuals (even for a puzzle game, it is spellbinding) on the large and brilliant OLED screen. 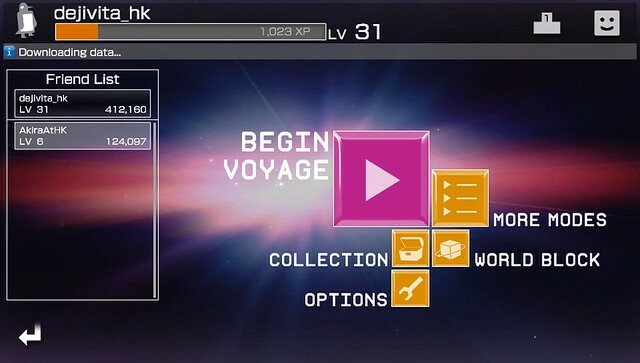 The main mode in Lumines Electronic Symphony is Voyage Mode, which brings players on a journey through all the Skins available in the game. 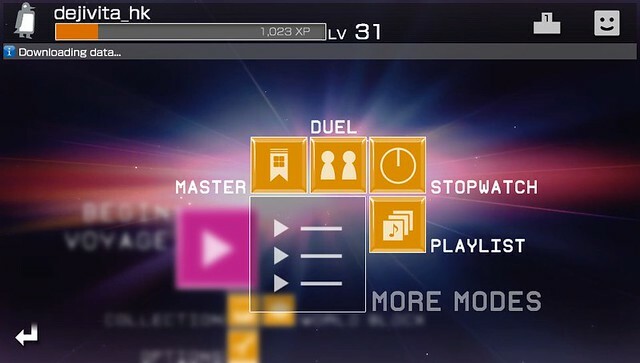 Other modes in the game include Master, a challenging mode where players complete stages by quickly clearing a number of blocks. Stopwatch is a standard timed mode and Playlist allows players to become a DJ and pick and mix their own playlist of Skins. Lastly, Duel allows 2 players to compete (Wi-Fi Ad-Hoc only). Players of previous Lumines games will understand the challenge of unlocking Skins. Before Electronic Symphony, the usual way of unlocking Skins is to play through the main modes and survive long enough. Electronic Symphony has a Player Level feature, and the game dishes out Experience Points (EXP) from game sessions and achieving milestones, which can be used to unlock Skins and Avatars. For those PSN trophy hunters out there, do take note that there is no Platinum Trophy for this title. The soundtrack list is obviously electronic and made up of 33 licensed tracks. There are actually more music in the game if you count the unique ones used for Stopwatch and Master modes, and the in-house tracks. The Collection Room shows 43 Skins for use in Voyage and Playlist mode. In conclusion, Lumines Electronic Symphony is a must-have for fans of the series (or people who love puzzle and music games). It is a worthy successor to the original title and has incredible replay value. 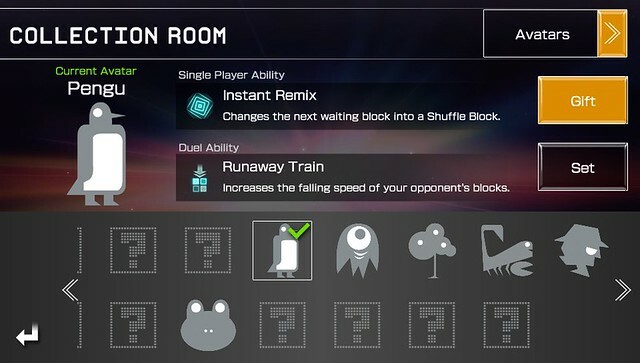 The only thing I wish this game had was the hallmark MONDO GROSSO and Eri Nobuchika Skins from the original Lumines title. 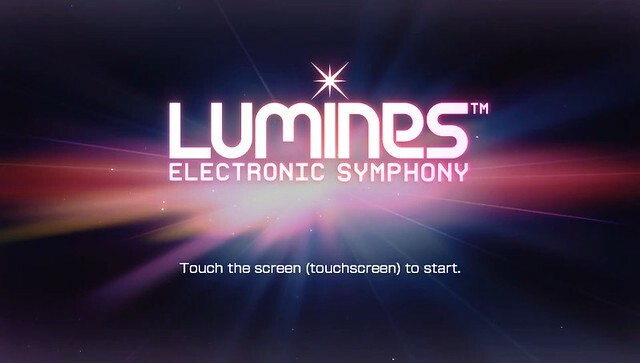 Unfortunately, given licensing issues with the music that stalled the first Lumines game from being re-published as a digital download title on Playstation Network, it is highly unlikely that we will ever see those characteristic Skins available on Lumines Electronic Symphony. I just bought my own PSTIVA Yesterday! I have tried this game on PSP before. I like it but it didn’t keep me interested for very long. I played the original on the PSP too. At first, I couldn’t really play past 5-6 levels. It took me a few days to get used to the gameplay and after that I’m really addicted to the game. Add me on Playstation Network! My username is dejivita_hk.